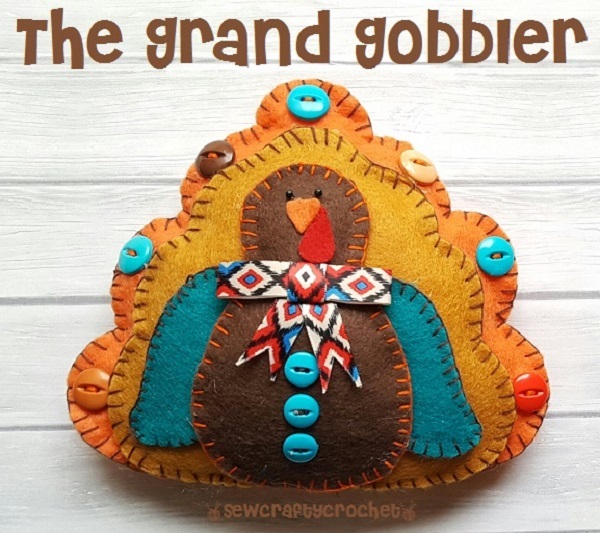 Thanksgiving is just around the corner, and today I'm sharing my felt Grand Gobbler Turkey. 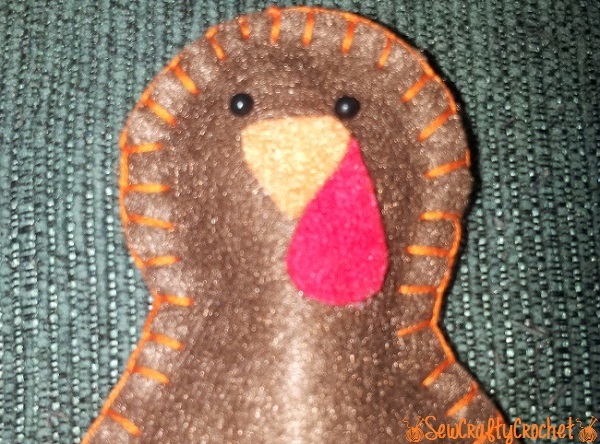 I found this felt turkey project and free sewing pattern and instructions at Sewing.org. 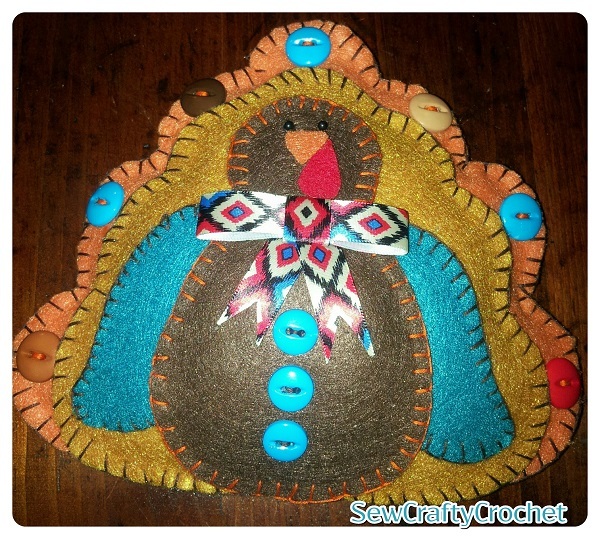 This was a quick, easy, and fun project that is perfect for Thanksgiving. 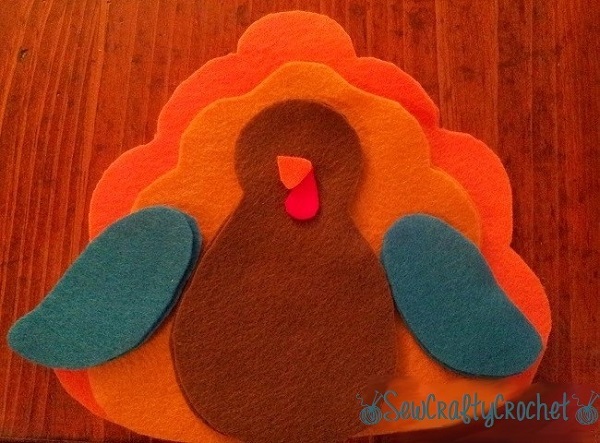 I cut out the pattern pieces and selected the colors of felt I wanted to use for my turkey. 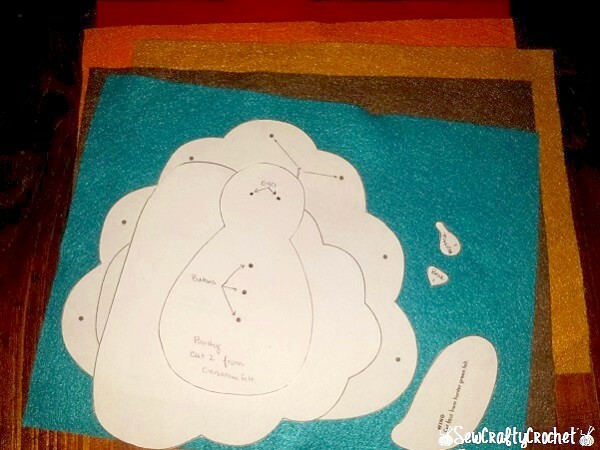 Then I traced the pattern pieces onto the felt and cut them out. 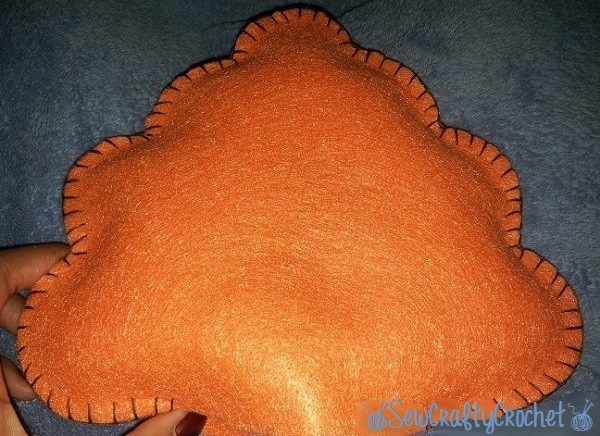 I used the blanket stitch to sew together the two big tail pieces, the two small tail pieces, each set of wing pieces, and the body pieces. 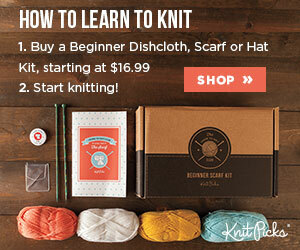 I used three pieces of brown embroidery floss, except on the body. 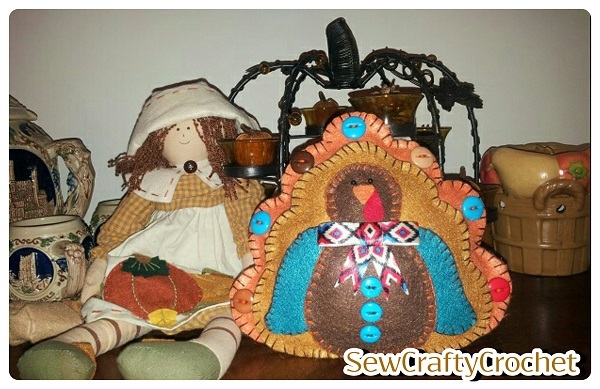 Since I chose brown felt for the body, I used orange embroidery floss to stitch around the body pieces. I also lightly stuffed the tails and body, but not the wings. I hot glued two black beads for the eyes, the wattle, and the beak. 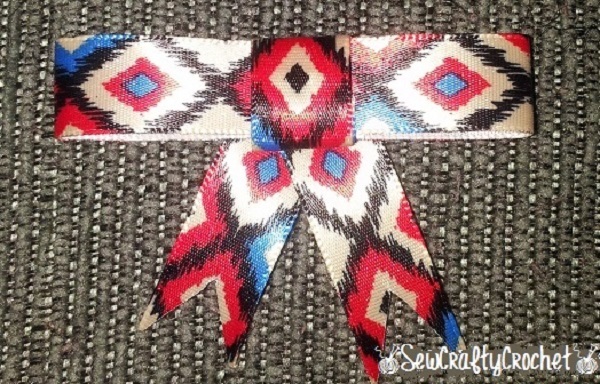 I cut a strip of ribbon and made a bow. 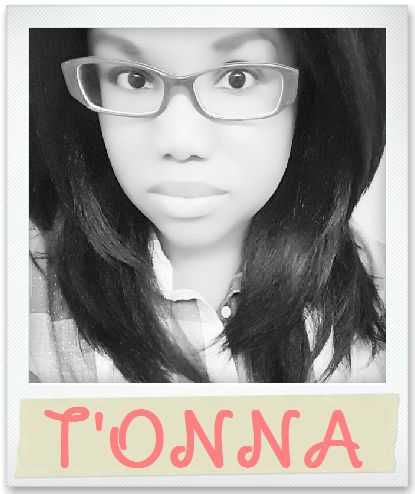 I cut Vs into the ends. 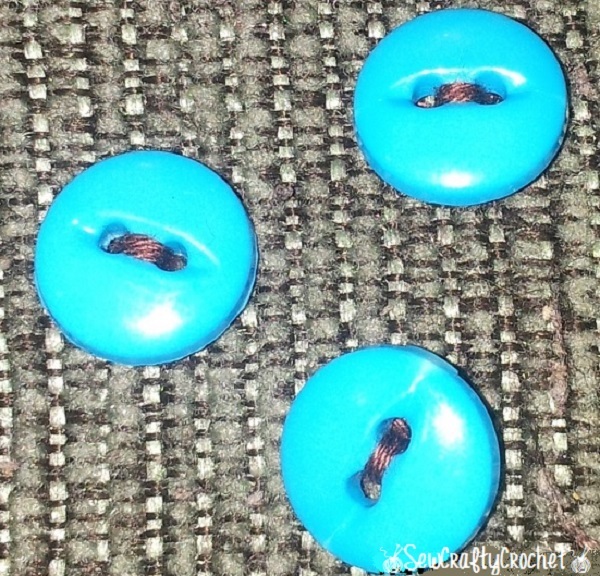 I threaded brown embroidery floss through the three 1/2 inch blue buttons for the body. 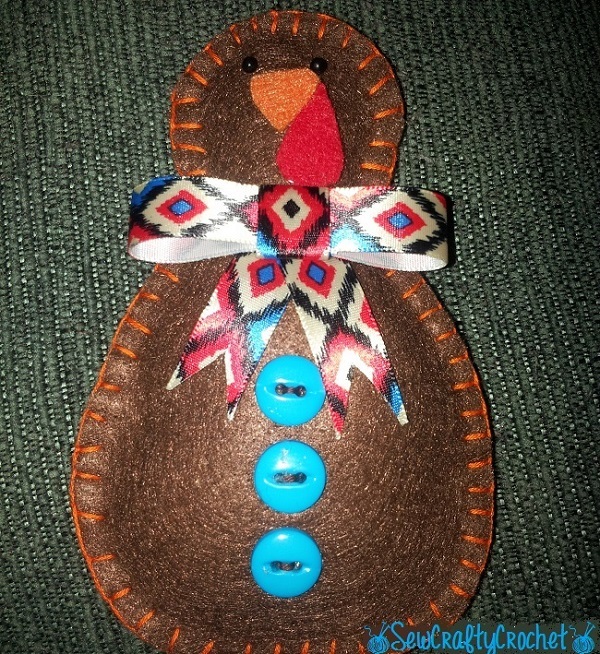 I used orange embroidery floss for the seven 3/4 inch buttons for the large tail. I attached the bow and buttons to the body using hot glue. Next, I hot glued the wings and body to the small tail. Then I glued on the large tail. I also glued the buttons onto the large tail, and the grand gobbler is all done! 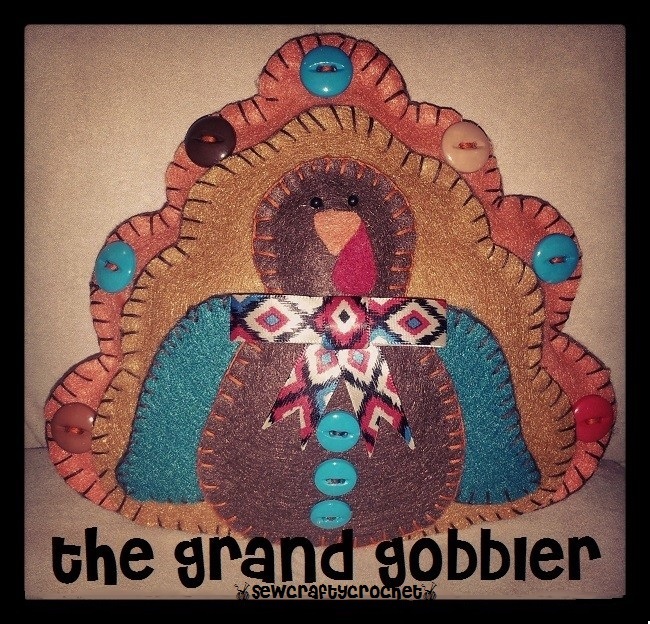 Thank you for checking out my Grand Gobbler! 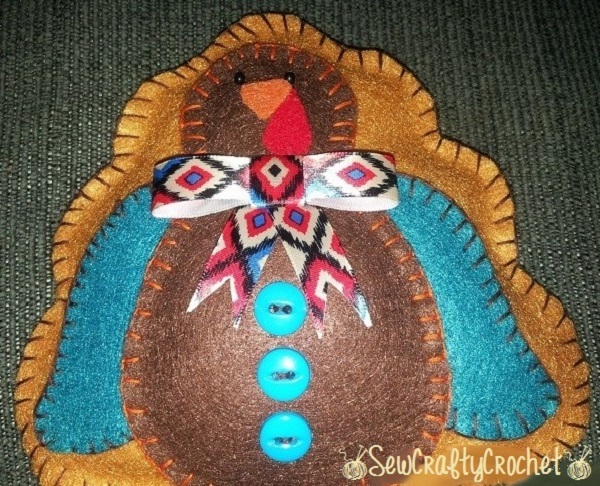 I love your turkey! 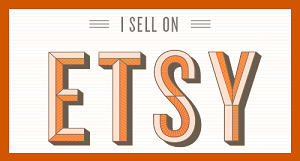 I'm going to use it this Saturday at the Snickerdoodle link party as one of my features!